Pitched percussion instruments are an important part of the Orff approach to teaching music. During the summer of 2016, I had lots of adventures. While traveling through the American south, I stopped at the University of Memphis for two weeks to take a course about an approach to music education called Orff. Orff isn’t an acronym, it’s the name of the founder, Carl Orff, a 20th Century German Composer. Composer Gunilde Keetman was an indispensable partner to Orff in the development of the teaching approach, called Orff Schulwerk. Perhaps because of her gender, she didn’t get credited in the name! Here are a few important things I learned about Orff during my two weeks. Orff uses pitched percussion instruments such as glockenspiels and xylophones to help students create their own music that really sounds good! For beginning students, instruments are often put in a pentatonic scale (by actually removing the non-pentatonic keys), so that whatever the student plays will blend with other notes being played. For those non-music majors who don’t know, a pentatonic scale is a scale with five pitches instead of the usual seven in the typical octave. The notes “fa” and “ti,” are omitted. The result is a sound that is often heard in ethnic folk music such as Irish music, as well as in the blues. As mentioned above, a pentatonic scale permits a blend with whatever other note is being played, often creating a lush sound. 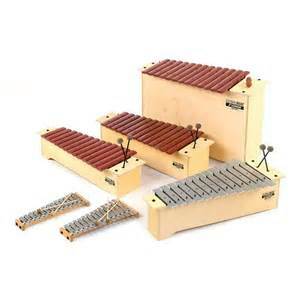 Orff also uses non-pitched percussion instruments of all kinds to add various effects to the music being played. A second important thing I learned about Orff is that body percussion plays an important role in teaching. Students often echo a teacher’s body percussion movements to begin learning a rhythm pattern or song. Body percussion might be on several levels, including a stomp, clap, tap on the chest or thigh, or snapping the fingers. Body percussion for younger students is kept simple, either with a simple combination such as tapping thighs and clapping hands, or keeping to one level, such as stomping feet, marching or clapping hands. 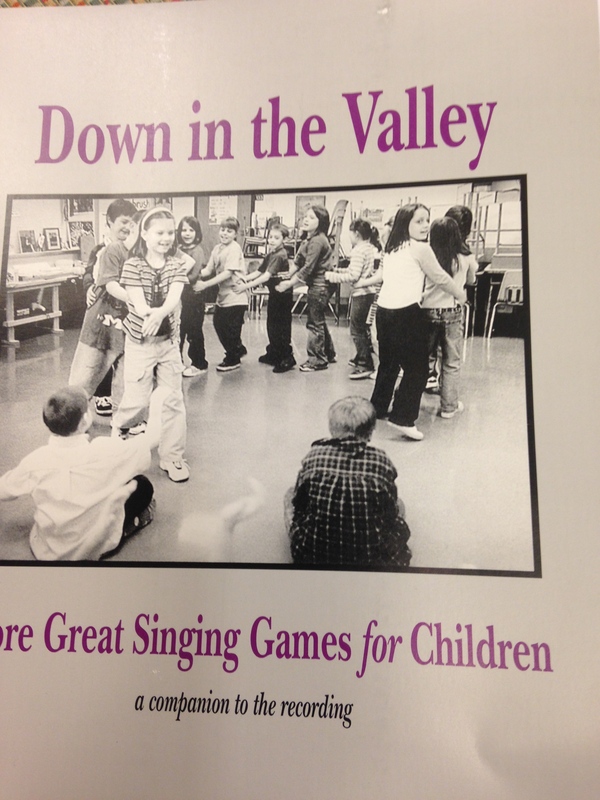 Folk dances and movement activities from the New England Dancing Masters are often part of Orff class activities. Indeed, feeling the music in the body through movement is also an essential part of Orff, as is the case in the other musical pedagogy I’ve studied, Dalcroze. We spent 75 minutes of each day during our 2-week Orff course on movement activities, including moving freely to various types of music, choreographed movements and folk dances. There’s much more to tell! I hope to post more on this blog about how I’m using Orff in my music classroom this year.